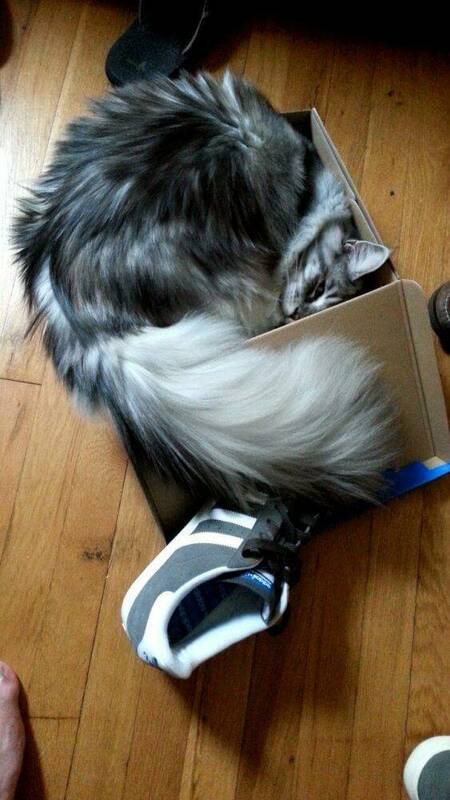 Cats and boxes go hand in hand. 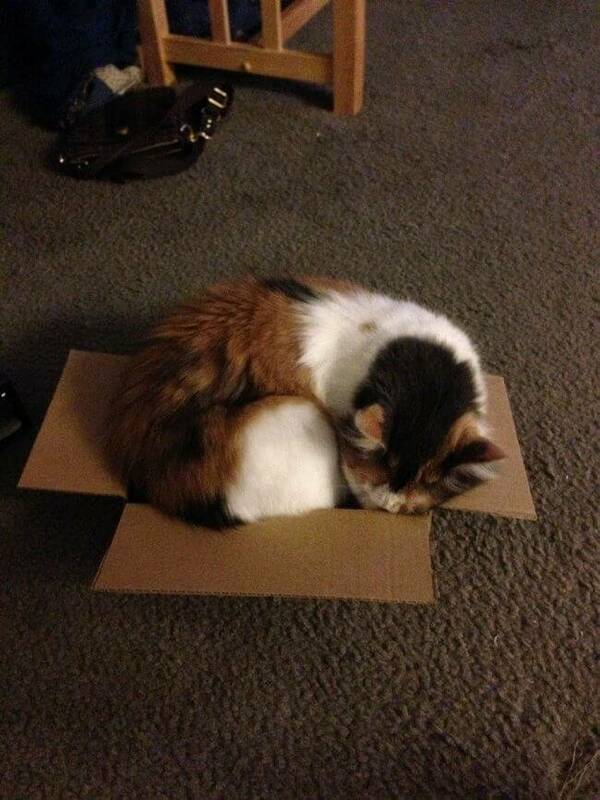 If you have a cat and a box, that cat will get into that box. 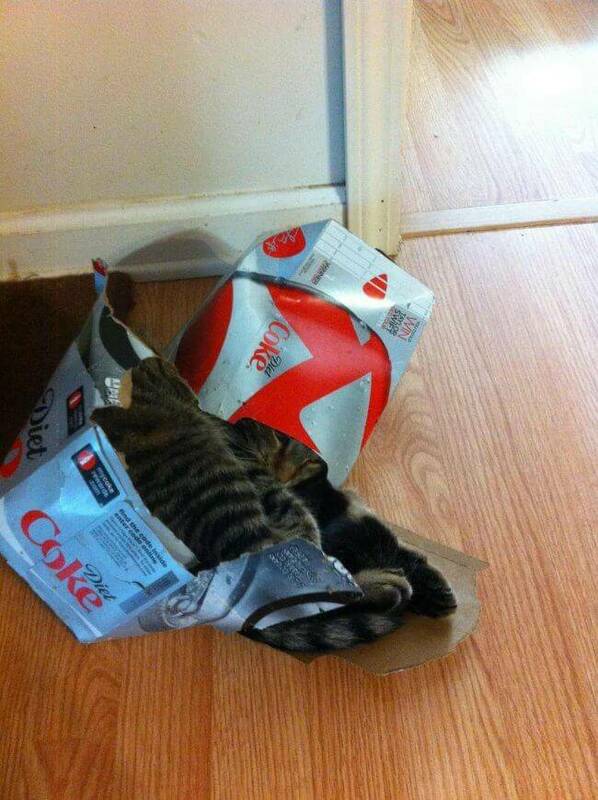 Whether it's a discarded box from a product, the post office, or a 12 pack of soda... your cat WILL find a way to climb inside and live it up. 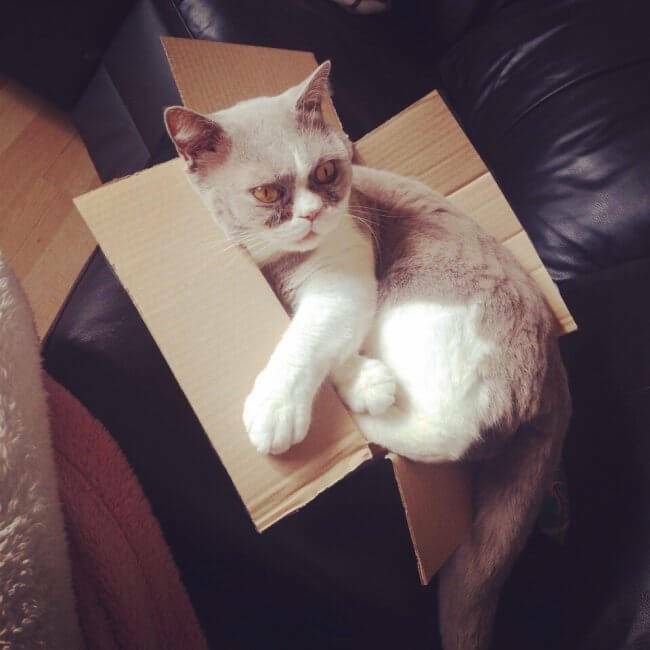 Hilariously, nothing will stop a cat from enjoying a box and this list proves it. 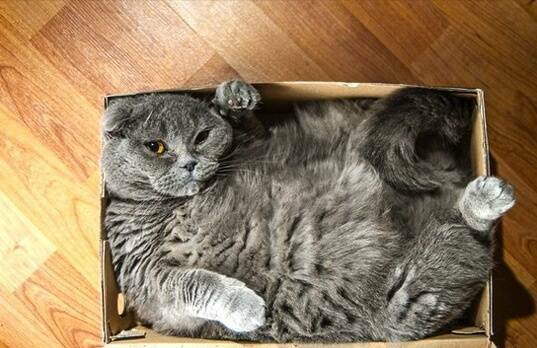 These 14 cats refused to take no for an answer and mustered all their stubborn powers to wiggle and squeeze into boxes that may have been destined for a smaller cat. They don't care, they wanted in and they made it happen. Now we can't stop laughing at their scrunched up photos! Here, there, everywhere. 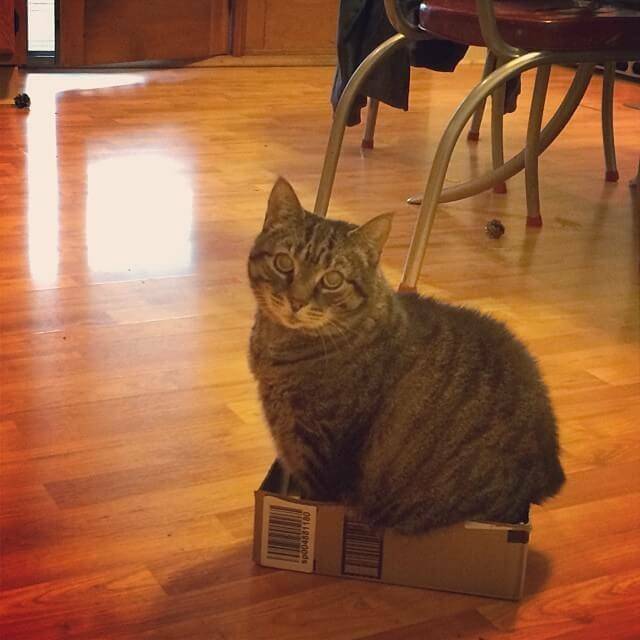 Box size is irrelevant. 2. This is how the magic happens. It's effortless for these cats. 4. Kitty has something to say. "Don't look at me that way. 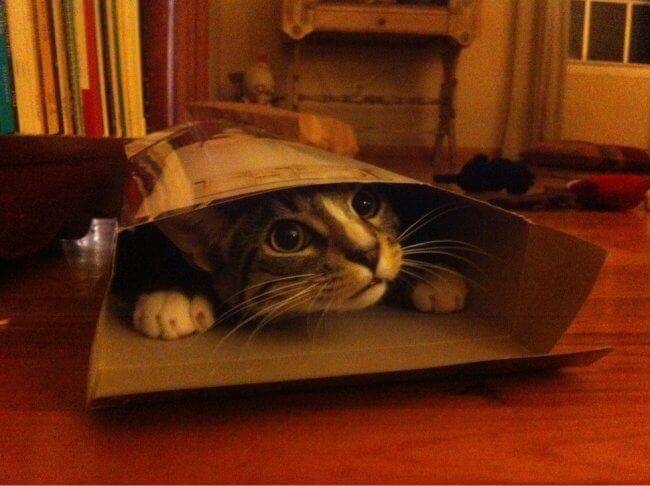 I like it in here." 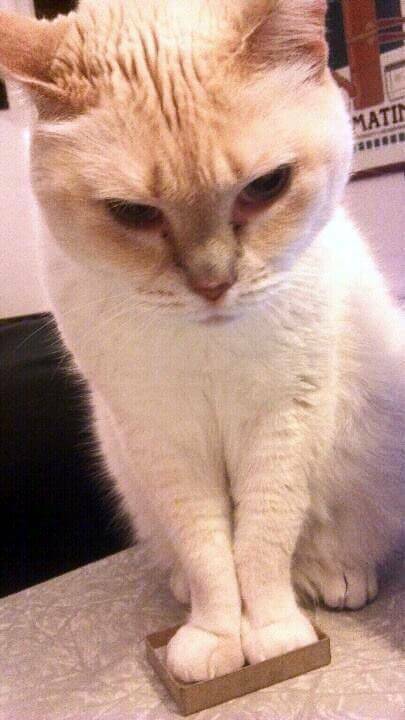 This cat looks amused with itself. Is this a cereal box? That's impressive. 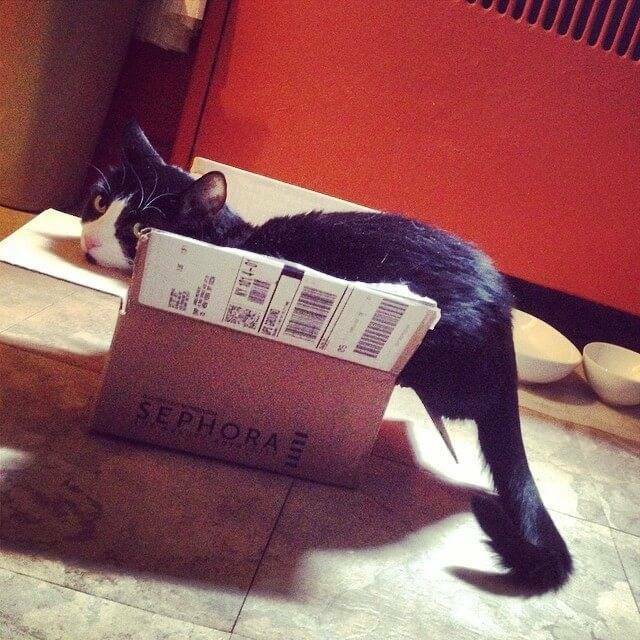 Good enough. The fire will keep me warm. As this fat cat quickly learned. 9. The face of "Matter of Fact." It's kind of like he's saying, "I told you so." 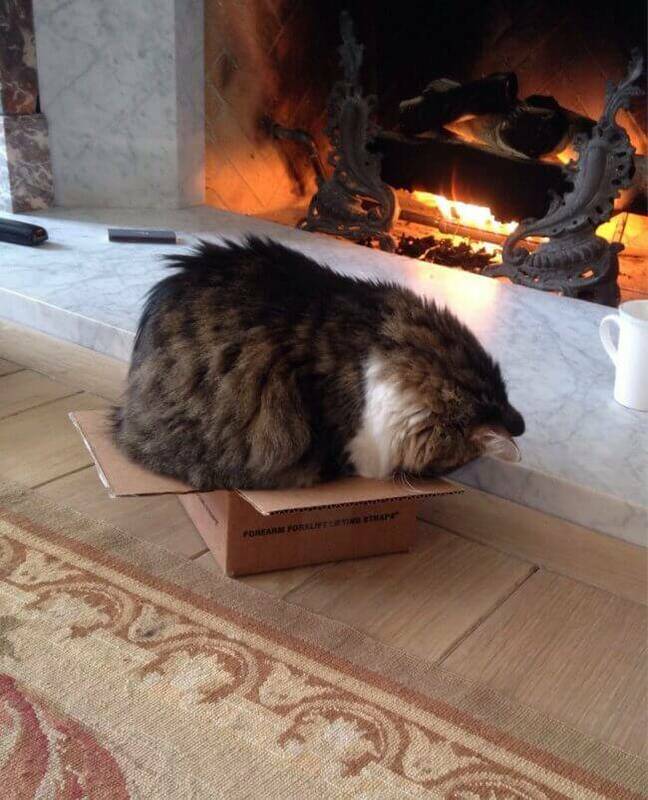 Literally nothing comes between a cat and the box they intend to sit in. I love everything about this cat's happy face and fluffy tail. 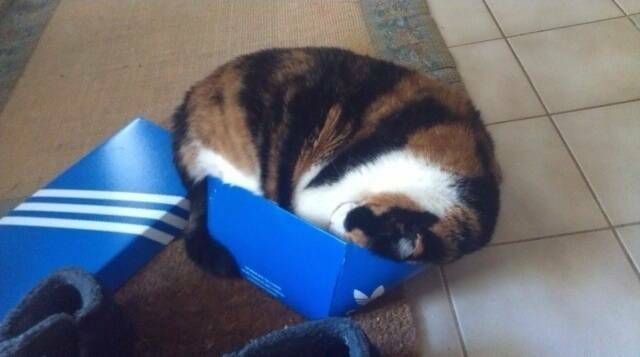 Nah, it's just a really small shoe box, I'm sure. He doesn't look comfortable but stubborn is as stubborn does.